Celebrating 17 years of one of the UK's longest running club nights, The Bugged Out Weekender promises to reflect the clubs history and future with a programme consisting of all the best in techno, acid house and bass music. The festival will be held for three days from Friday 20th to Sunday 22nd January 2012 on the South Coast at Butlins Resort in Bognor Regis, West Sussex. Latest acts include 2manyDJs (DJ Set), Joker, Inner City, Hudson Mohawke, L-Vis 1990 & The Neon Dream, Maya Jane Coles, 2 Bears (Joe Goddard & Raf Daddy), Riton, Andrew Weatherall, and Ivan Smagghe. Previously announced are Diplo, Chase and Status, Erol Alkan, Simian Mobile Disco, Sub Focus, 16 Bit, Friction, Zinc, Redlight, SBTRKT, Joy Orbison, Martyn, Julio Bashmore, James Holden, James Holroyd, Matt Walsh, Casper C, Green Velvet, Kevin Saunderson L-Vis 1990, Bok Bok, Ben UFO, Girl Unit, Jam City, Jackmaster, Deadboy, Spencer, Justin Robertson, Hannah Holland, Severino, Dan Beaumont, and more. For the line-up details, day and stage splits, as available please click here. Guest hosts: UNION, Night Slugs, Numbers, Dalston Superstore. All tickets include three night's accommodation - Friday/Saturday and Sunday. Prices vary due to standards of accommodation. A Silver & Silver Plus Rooms (no lounge/kitchen area) ticket is priced from £139 per person. A Standard Apartment (with lounge & kitchen but with sofa bed in lounge + bedroom) ticket is priced at £159 per person. A Silver Apartment ticket is priced from £169 per person (with lounge and kitchen area and separate bedrooms - no sofa bed in lounge). A Gold Apartments/Deluxe Suite ticket is priced from £179 per person. There are also rooms available in the hotel priced from £199.  There is a Payment Plan for buying tickets, A deposit of £50 per person paid at time of booking, will secure tickets with the final balance due 8 weeks before Festival (25/11/2011). Butlins is crammed with a huge variety of sports and leisure facilities, exciting rides at the funfair, superb evening entertainment venues and great places to eat and drink. There's a sub tropical Splash Waterworld with flumes, wave machines and daredevil rides, an astroturf Multi-Sports Court with football and basketball courts, an Aerial Rope Course with climbing wall and zip wire, the go kart track and much more. The Resort has car parking for those wishing to drive to the Festival. Car parking is free of charge for the weekend. Butlins Resort is located approximately 1 mile from Bognor Regis Train Station. Trains run directly from London Victoria and London Bridge station to Bognor Regis and take approximately 1 hr 45 mins.